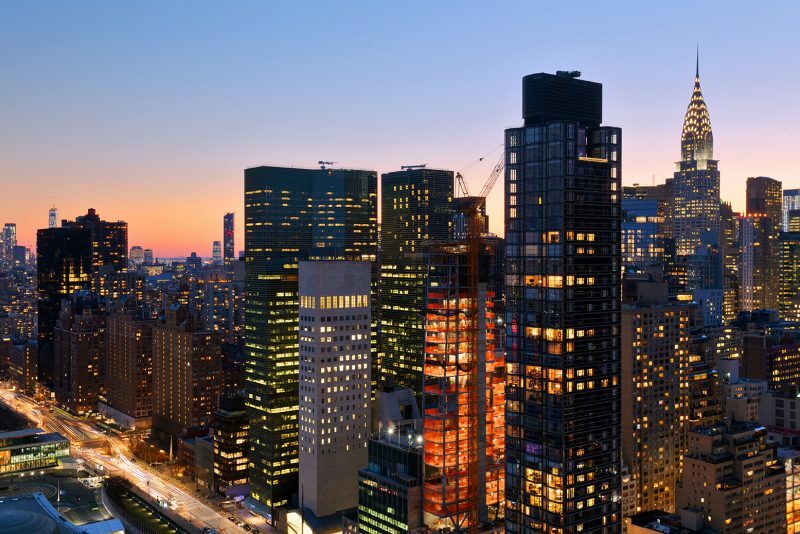 The United Nations Plaza in Manhattan enjoys some wonderful views over the East River. 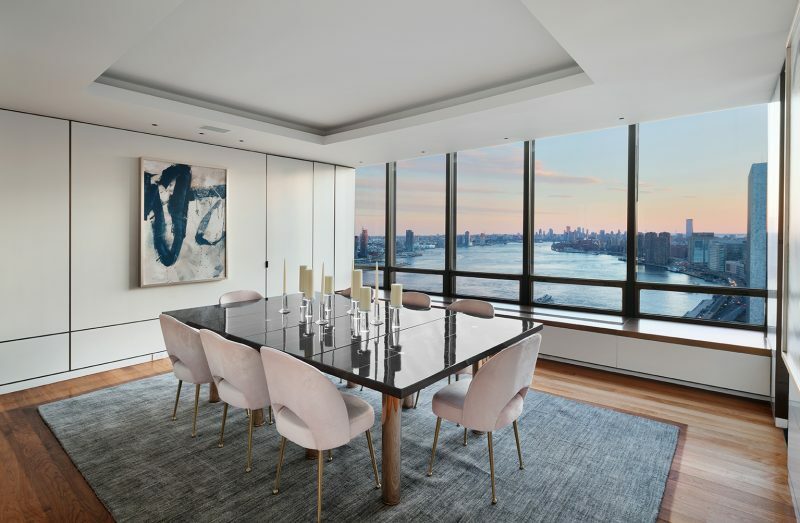 Penthouse 37E/38E is a trophy duplex with unrivaled and unobstructed views of the East River, the U.N., and the Manhattan skyline. 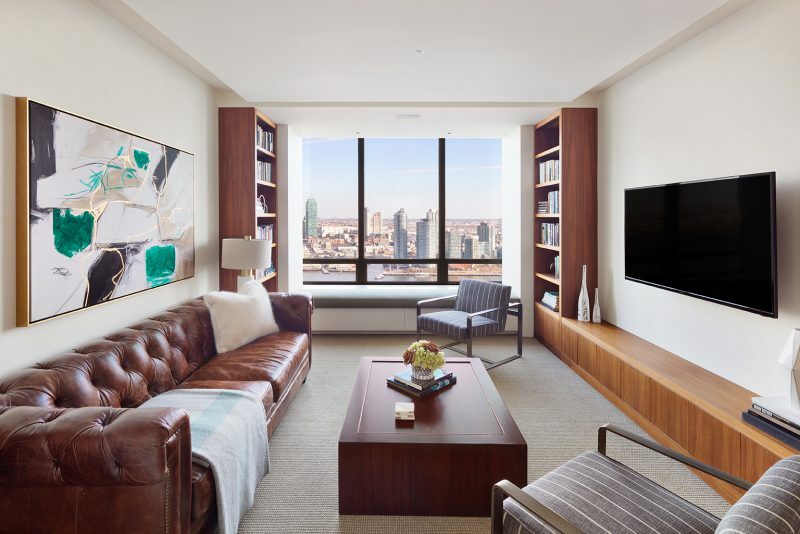 Facing east and south, every room has expansive views and is bathed in light from sunrise to sunset. 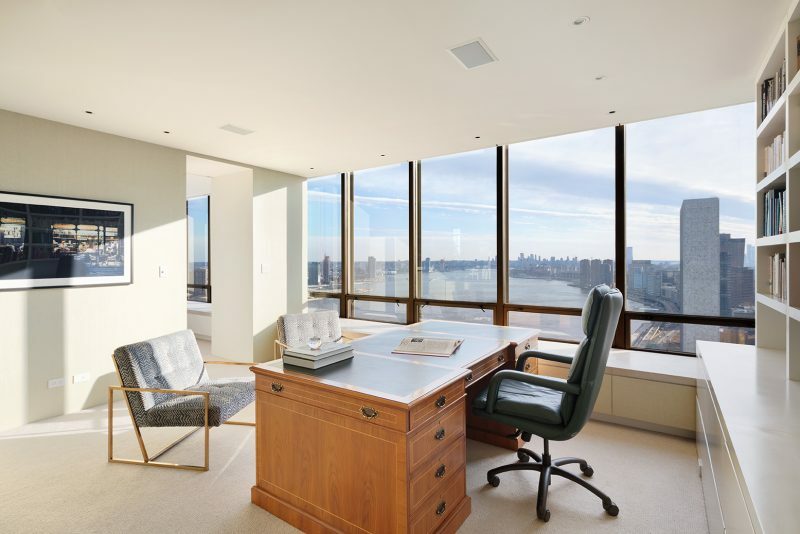 On the 37th floor, the entry foyer has hardwood floors and venetian plaster walls. 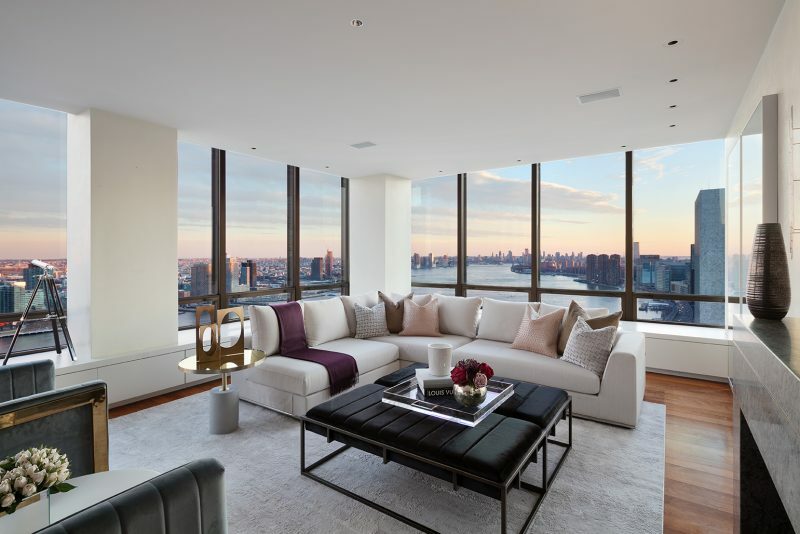 The 32’ long corner living room features multiple seating areas looking out through two walls of windows. A centered wood-burning fireplace anchors the room. 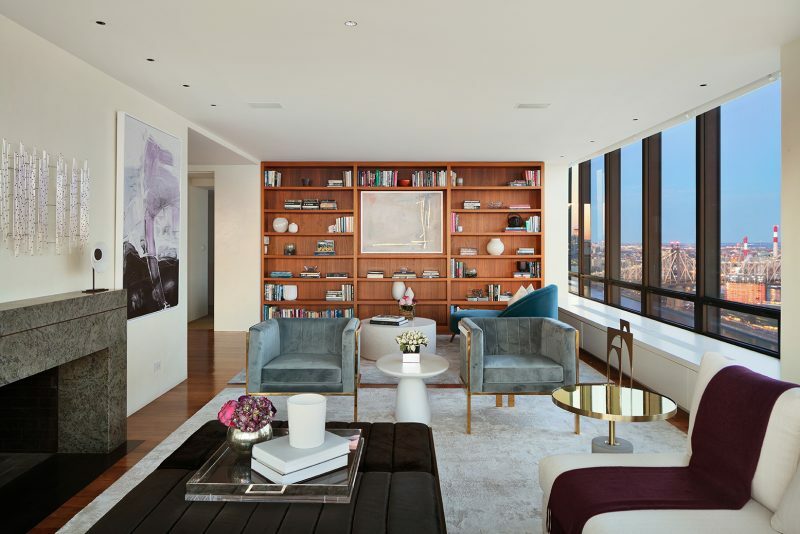 Thoughtful and functional details abound including electric shades, recessed lighting, surround sound, and built-in bookshelves. The large dining room faces south directly over the UN and comfortably features seating for 12. Off the living room is a media room with built-in bookcases, an a/v closet, and a wet bar. The kitchen features a built-in banquette, soapstone countertops, and high-end appliances including a 6-burner Wolf range with double oven that vents out, Sub-Zero refrigerator and freezer, and a Bosch dishwasher. Off of the kitchen is a bedroom with an en-suite bath with Kohler and Toto fixtures. 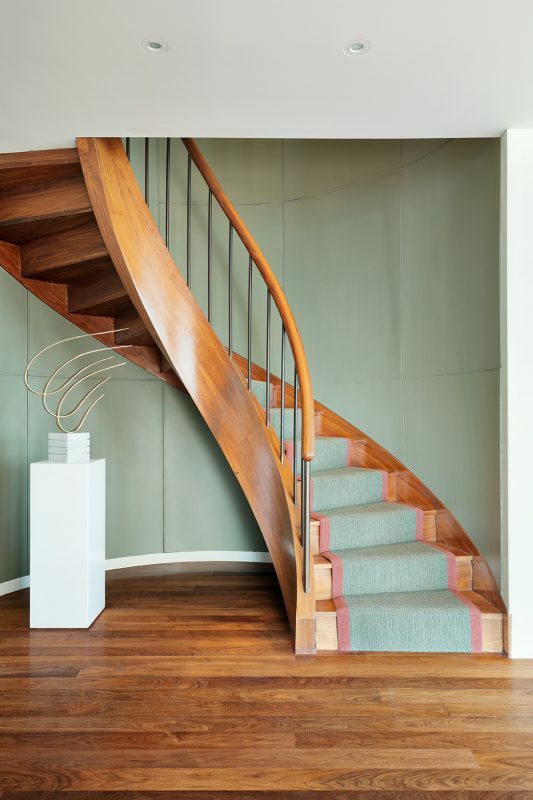 Leading you to the second floor is a sinuous sculpted walnut staircase lined with custom leather panels. The sprawling master suite features a spacious bedroom, a separate dressing room with custom closets– the size of most bedrooms–as well as the 4-piece master bath, and an additional walk-in closet and powder room. Adjacent to the master suite is another large bedroom currently used as an office with a wet bar and a wall of closets and built-ins. Down the hall is another bedroom which features an en-suite bath, multiple closets and wooden built-in desk. Currently configured as a 3 bed, 3 bath, 2 half-bath residence, the floor plan could accommodate 5 or even 6 bedrooms if desired. The private elevator shaft between the floors is currently being used for additional storage space. 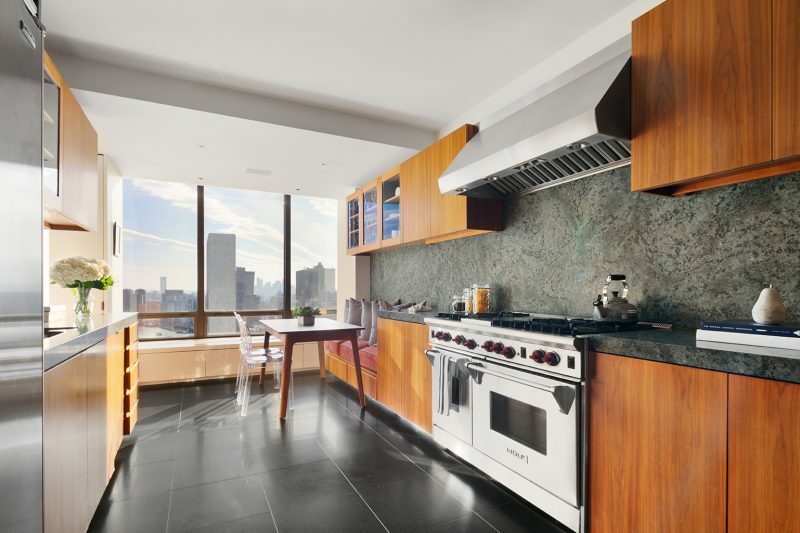 Built in 1966, 870 UN Plaza is a full-service co-op with the longest private driveway in New York and was one of the first steel and glass apartment towers built. The building has been home to countless key figures in American history including Truman Capote, Johnny Carson, Yul Brynner, and Walter Cronkite. 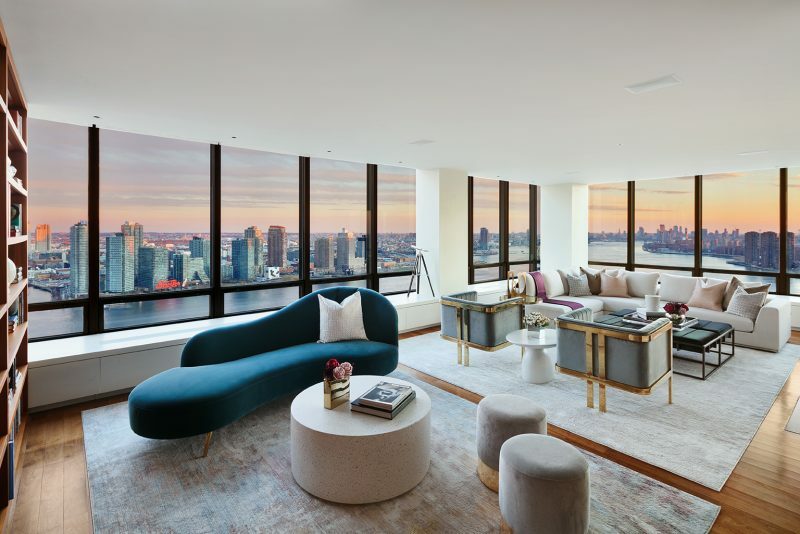 Amenities include a full-service gym library, a roof deck, a private club, and a recreation room with billiards, table tennis and a golf simulator. This home is listed for $5.75 million with Scott Hustis of Compass.